Hyrule Warriors is set to be released next month, and leading up to that we are set to get a bunch gameplay videos displaying all of the nuances in the game’s combat. Hyrule Warriors is set to be released for the Wii U on September 26th. This entry was posted in All, Featured, News, Wii U and tagged Hyrule Warriors, Lana, Nintendo on August 4, 2014 by Mike Guarino. Two Zelda fans, named Paco Martinez and Pablo Belmonte, have been working on an HD version of The Legend of Zelda: Majora’s Mask for the past couple years, and they have just released a new video documenting the progress. It’s worth noting that this game is not meant to be playable, but is instead being used to show Nintendo once it is completed. They are hoping that the footage will convince the company to go ahead and remake their own version of the game. This entry was posted in 3DS, All, Featured, News, Wii U and tagged Nintendo, The Legend of Zelda: Majora's Mask on August 4, 2014 by Mike Guarino. Hyrule Warriors is just a couple of months away from its launch, and now a new features trailer showcases everything that we have learned so far about the game. If you’ve missed all of the brief trailers released previously, then this one will get you all caught up. In the trailer we get a look at all of the game’s playable characters, which range from the obvious Link and Zelda to the not so obvious Darunia and Ruto. It also goes into some of the game’s features like local co-op, hidden items and mini-games. Hyrule Warriors is being developed by Omega Force, Team Ninja and Nintendo SPD for the Wii U. It is currently set to be released on September 26th, 2014. This entry was posted in All, Featured, News, Wii U and tagged Hyrule Warriors, Nintendo SPD, Omega Force, Team Ninja, Wii U on July 24, 2014 by Mike Guarino. Slightly Mad Studios’ Project CARS will be coming to PlayStation 4, Xbox One and PC sometime in November, but somewhere along the way the Wii U version fell out of the loop. So, the poor old Wii U version hasn’t been canned entirely, it’s just gonna take a little while longer to get that one out on the shelves. This seems to be the pattern as of late, as the more powerful versions of games that also stand to sell a hell of a lot more are given priority over the Wii U version. As long as they give it the proper attention and don’t make it a cheap downgrade then all will be well in the world. This entry was posted in All, Featured, News, PC, PlayStation 4, Wii U, Xbox One and tagged Project Cars, Slightly Mad Studios on July 11, 2014 by Mike Guarino. Everyone knows that Super Mario is an Italian plumber made by the Japanese, but we also know that he is most loyal to the country that made him an icon. 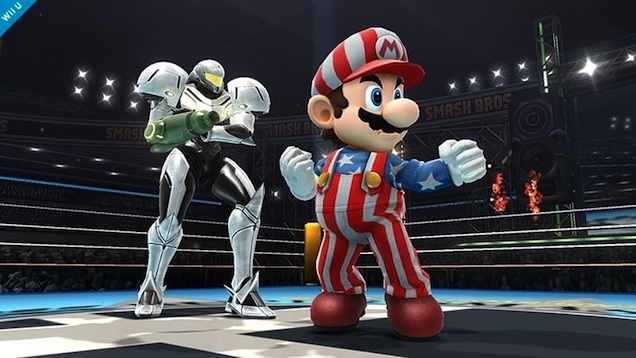 In the latest Super Smash Bros. games, Mario’s alternate costume prominently displays the American flag in all of its glory. The news was revealed via the official Super Smash Bros. twitter account. 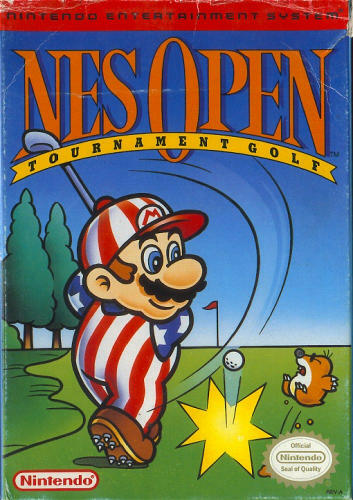 It has also been noted that the costume was inspired by the NES Open Tournament Golf costume (which you can view here). Check out Mario’s alternate costume below! 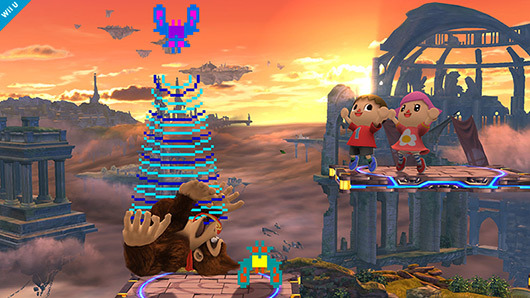 Super Smash Bros. releases for the 3DS on October 3rd and on Wii U at the end of this year. This entry was posted in 3DS, All, Featured, News, Wii U and tagged 3DS, Nintendo, Super Smash Bros., Wii U on July 10, 2014 by Mike Guarino.